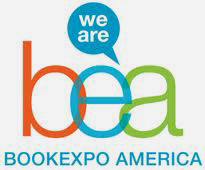 The BookExpo of America book trade fair is reportedly the largest annual book fair in the USA. Publishers from around the world attend to showcase their upcoming and new titles to the book buying trade, with attendance sometimes exceeding 30,000 book buyers, librarians, editors, publishing agents, and others from around the globe. Serious authors, artists, and organizations want their Innovo title(s) in this show. * Best-case results: Several orders and/or other types of information requests and/or sales for your Innovo title. * Average results: Publicity to the trade, and visibility and ordering information distributed to potential buyers about your Innovo title. * Worst-case results: Publicity and exposure to the market for your Innovo title. Innovo Publishing, LLC is a member in good standing of The Independent Book Publishers Association, The Association for Christian Retail, The Collierville, TN Chamber of Commerce, and the Memphis area Better Business Bureau with an A+ rating. Copyright 2018 Innovo Publishing LLC. All rights reserved. Innovo Publishing LLC is a full-service Christian book publishing, Christian music publishing, and Christian video publishing company serving the Christian and wholesome markets. Innovo creates, distributes, and markets quality Christian books, Christian eBooks (Kindle ebooks, iPhone apps, iPad iBooks), Christian audiobooks (audio books; MP3 and CD), Christian music albums and titles (Christian gospel music and Christian worship music), and Christian videos through traditional and innovative publishing models and services. Innovo provides Christian book, music and video distribution, marketing, and automated book, music and video order fulfillment through a network of thousands of physical and online wholesalers, retailers, bookstores, music stores, schools, and libraries worldwide. Innovo provides a unique combination of traditional publishing, co-publishing, and independent self publishing arrangements that allow Christian authors, artists, and organizations to accomplish their personal, organizational, and philanthropic publishing goals. All Innovo books are professionally edited with custom-designed covers and interiors. Innovo can publish a Christian book in as little as 45 days, and we accept fiction and non fictions books, business books, and wholesome books for all Christian publishing genres. Among Christian book publishers, we provide unique benefits, including 100% royalties to our independently self published authors, who retain all rights to their work. Innovo Publishing provides a variety of Christian book marketing options for authors including 30-45 second video Previews, 1-1.5 min. video Features, and 2-3 min. video Premieres with distribution to multiple social media and video viewing sites.